LeBlanc’s love of all things motor apparently extends to bikes too, as the star recently discussed choosing a biker honeymoon with ex-wife Melissa McKnight. In his first interview since the Top Gear news was announced, LeBlanc described riding through the Alps on a motorcycle with his new wife riding pillion. Despite being ‘the best ride of his life’, the honeymoon was far from idyllic as the actor turned presenter allegedly crashed and wrecked the bike during the trip. 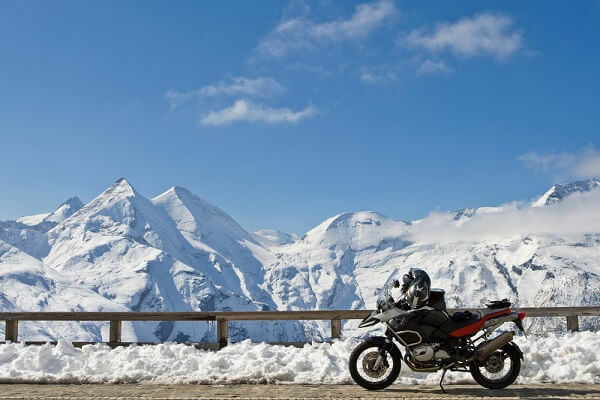 If you’re planning a motorcycle trip, it is absolutely vital that you invest in specialist travel insurance to protect you against unexpected disasters such as crashing on your honeymoon! Most standard insurance policies won’t provide cover for you to ride any bike above 125cc engine, and certainly won’t help you get your bike home if you are taken ill or injured. Holidaysafe has created a range of policies tailored to the needs of bikers, whether they are touring, off roading or taking part in a track day abroad. The policies include cover for leathers, boots, helmets and tank bags against loss or damaged – even whilst in use. The policies can also provide cover for someone to collect your bike and take it home, if you are injured or fall ill during your trip and cannot ride home. For more information and a free quotation visit Holidaysafe.co.uk.